Commitment. The keys to living a healthy life are committing to eating healthy and exercising regularly. Living healthy involves commitment, but does every day have to look the same? Heck no. Variety is the spice of life and I know two things that really spice things up. Groups of people and Groupon. Group fitness is huge right now. Everything from boot camps to Zumba is done in groups. In a group you feel connected. You build relationships. It is more fun. You can have a group of 50 or just a friend. I love working out with my wife. We run together on Saturday, Sunday, or whenever we can. We are able to talk, laugh, and start our day together. It is wonderful. Working out with a friend is great. A friend of mine, Kasi, says, "I think working out with a friend is amazing! It definitely helps me keep going. If I don't go to class I know am letting down my friend. Having Anita there keeps me going and helps me stay motivated. It also makes working out fun. I can look over at her and laugh because we are both struggling and whining. We always push through it! We even say funny things like, "HELP! Call the fire department! My legs are on FIRE!!" Thanks Kasi! 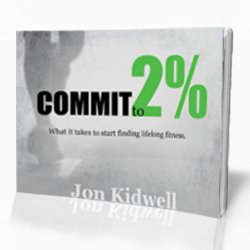 It is so great that you have an accountability partner and friend to keep you committed. Kasi and Anita started working out together 3 months ago. They bought a Groupon and ended up loving it. I love Groupon because I love saving money. Their website calls Groupon, "an easy way to get huge discounts while discovering fun activities in your city." Use this to your advantage. I am a bit ADD when it comes to working out. This week alone I swam, ran, rowed, biked, played Ultimate Frisbee, boxed, and for lack of a better term- climbed on stuff. Groupon allows you to try a variety of exercise activities relatively cheap and for a short period of time. If you enjoy it, keep going. If it doesn't suit you, find a new one. That is the brilliance of it. No fitness manual says you must do the same thing, with the same instructor, at the same gym...forever! Actually it is quite the opposite. Change it up, keep it interesting, find a work-out buddy, just stay committed to being active...wherever that may be. Do you have a burning questions for me?